This special P Pod features Santa with glowing LED Cheeks, a Snowman and a big red bow. The words ‘Ho Ho Ho’ and ‘Merry Christmas’ are sewn into the seat. 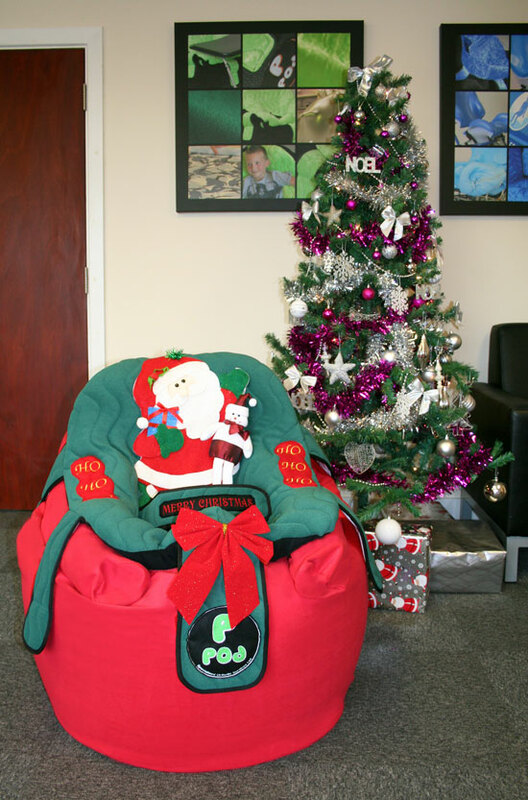 This P Pod has been specially made just for Santa and is not available for general sale. Thanks to everyone for your support throughout 2013, we wish you a Merry Christmas and a Prosperous New Year.